The Times Literary Supplement describes this as “The last Renaissance man’s account – until now available only in Greek – of how German bombs wrecked his boat but not his spirit”. Enjoy. First published in The Times Literary Supplement, 5 June 2013. I had arrived in Greece as a lieutenant in the Intelligence Corps in November 1940. We were a branch of the Allied Military Mission. After Christmas we drove to Albania and were based at Koritsa as liaison officers to the 80th regiment led by Lieutenant-General [Georgios] Tsolakoglou. I went along the whole front – Pogradec, Krystallopigi, Argirocastro, Tepeleniou, Leskovik, Ioannina and so on. I stayed two months there and after the German invasion I was asked to come down to Athens with the personnel intelligence unit, under the regiment commander Peter Smith-Dorrien (son of General Sir Horace Smith-Dorrien who fought in the First World War). After the slow retreat from Perdika, Ptolemaida and so on we were for a time as if in the pass at Thermopylae, but eventually got to barracks in Athens. With the rapid advance of the Germans, Field Marshal Maitland-Wilson gave the order to prepare a second escape route from Greece, if a somewhat unorthodox one. The Greek authorities had requisitioned for us a lovely sailing caïque. She was called Ayia Barbara, anchored at Sounion and belonging to Paulo Mela. She had a renowned captain in Michaelis Mistho from the Demon of Sparta. Apart from myself and P. Smith-Dorrien there was a wireless-operating sergeant, a very nice corporal who I think was called Costas Varthis, and six soldiers. Our orders were to take possession of the caïque and proceed to a meeting with Field Marshal Wilson at Mili, on the east coast of the Peloponnese. We left Sounion on the afternoon of the April 24, 1941, the sergeant and I having previously destroyed our truck by pushing it into a gully at Sounion. We went past Hydra and moored off the island of Dokos. In the morning there were many enemy aircraft, the thud of bombing, and trails of smoke in the direction of Nauplion. Later we heard they had set on fire the English ship the Ulster Prince; many British were either killed or captured. We waited till late afternoon to weigh anchor and it was night when we moored at the quay at Mili. It was very crowded there, hundreds of trucks and Greek and British soldiers in retreat. I called out repeatedly the name of the motorcyclist, Matthew, who was to wait for me there and take me to the Field Marshal, whom I finally found. He had come from Athens with Prince Peter who was liaison officer to our mission, Field Marshal Wilson having come in another car. Also there was the government Deputy President, Vice-Admiral Sakellariou. These were going to Crete in a Sunderland aircraft. Our own aim in our present circumstances was to work our way south along the coast of the Peloponnese, to help other British and Greek military stragglers who wanted to get to Crete and had missed a ship. Admiral Baillie-Grohman and Brigadier General Galloway joined the Ayia Barbara, and also some more men. We weighed anchor and headed south. After half an hour we pulled alongside an English battle cruiser, the HMS Bahram [Edit: Should HMS Bahram read HMS Barham which was lost at sea on the 25th November 1941? ], which took all these men on board. We, with our original company from Sounion, P. Smith-Dorrien, Lieutenant Philip Scott, consul to Field Marshal Wilson, and six soldiers stayed on the Ayia Barbara and we set off at 1.30 am. Smith-Dorrien appointed Philip Scott responsible for the British personnel and me for the Greeks as I knew Greek fairly well, having travelled a lot around Greece before the war. On the way we had some engine trouble, a blade of the propeller broke which compelled us to reach shore before sunrise. Our intention had been to head for Ieraka and hide the caïque, but in the morning of April 27, at 5.30, we arrived at Leonidion and moored at the quay in Plaka. We hid the radio under some olive trees, took our weapons, had some breakfast. Our orders were to let no one board the caïqe during the day. Soon we would be taking up our headquarters in Crete. At 1.30 pm a reconnaissance Fiesler-Stork plane flew over, at 2 another came and dropped four aerial torpedoes on the beach and did little damage, and then came some bursts of machine gun fire. At 2.15 they dropped another bomb close to the quay and at 2.30 a depth charge fell beside the Ayia Barbara, breaching her below decks and sinking her, with just half the mast showing above water. Luckily our boat had saved some important documents. From then until 7pm the bombardment and dive bombing didn’t stop. One of the bombs fell close to us and wounded Captain Michaelis in the leg and damaged the radio, but to our surprise we repaired it enough to take with us, but not sufficiently to send our news to headquarters. Some local people appeared, with bread, eggs, one or two chickens, wine and so on, and showed us much kindness, although it had been a terrible day. P. Smith-Dorrien and I tried to buy one of the other small caïques in the harbour, but all had been damaged in the bombardment and were not fit for sea. We tried mules but failed again. We hoped to find a caïque further south. We passed the night there, in two convenient caves at the end of the beach. We went very early into Leonidion for provisions. The enemy were firing all around, but stopped at midday. I tried to salvage some things from the sunken caïque but without success. At 7 pm the Leonidion police brought and placed at our disposal a boat from a nearby village. It belonged to Panayioti Nikos Moschoviti, or Tsana, from Poulithra. The crew was the son of Nikos and another four of his relations. We agreed that they would take us to Kyparissia. Whether or not we could find a way to make progress, we had taken a decision to go for it, come what may. The local people were very keen to help us. We all boarded the boat, twenty-three of us together with the six crew, packed in like sardines, and we set off south under oar. Meanwhile the Greek crew of the Ayia Barbara set off to their respective homes while we stayed with Captain Michaelis, without whom we would have perished, Smith-Dorrien said. The crew rowed for about six hours and at 5.30 am on April 29 we arrived at Kyparissia, coming to a dry river bed, 3–4 kilometres from the village. P. Smith-Dorrien and I tried to buy a caïque and in the evening we found one: Ayio Nikolao, 40 tons, which belonged to Pericles Meneksi, for 300,000 drachmas. After a moment we heard that the Germans had reached the village, and as luck would have it, eleven New Zealanders arrived by rowing from Porto Heli. Many British troops had arrived in Kalamata by road in trucks and armoured vehicles. Many went to Crete on the Greek warships which were there, the others who stayed put up a fierce resistance to the advancing Germans, making an assault with bayonets, and many died or were taken prisoner. This year they are erecting a memorial in Kalamata in their honour. The eleven New Zealanders were in a bad state of fatigue; we took them into our company and all left together at 9 pm. On April 30, we arrived at Velanidion and all had a day on the beach to recover. At 9 pm we tried to set off to Crete but the engine wouldn’t go into forward drive and broke down. P. Smith-Dorrien, Captain Michaelis and I made the steep climb to the high village, hoping to find someone to mend the engine or to find another caïque, without any success. Meanwhile we learnt that the Germans had reached Monemvasia, Neapoli and Kalamata. The New Zealanders wanted to put to sea immediately but Smith-Dorrien forbade it. Then five more New Zealanders arrived and an Australian. A good mechanic from Velanidion, Nikolaos Kostakos, a relation of Captain Michaelis, patched up the damaged engine after many hours. We also found three Cretan soldiers who were trying to find a way to get home so we took these too. At 9 pm we set off for Cape Spatha on the north of Crete with the mechanic, N. Kostakos. On May 2 we had extremely strong headwinds and violent storms. We were losing oil and a bearing was overheating; the engine died. We did the unthinkable and turned back with an improvised rig for the sails and got to Antikythera at 12. Smith-Dorrien, Captain Michaelis and I went to the village of Potamos and found there a very large caïque, the Despina, which belonged to Captain Nikolaos Manika from Chios and it was agreed that he would take us to Crete in exchange for 45,000 drachmas. He took all of us, leaving the following night, another four Australians having arrived there by various means. We now had 150 men, British and Greek, of all ranks. There was another caïque there which went to Crete with us. N. Kostakos stayed with the Ayio Nikolao in order to take care of the repairs and then take it on to Crete. We weighed our anchors at 10.30 pm on May the 3rd and arrived on the 4th, mooring at Kastelli Kissamou at 5.30 am, where we organized a wonderful feast in a taverna. We were all quite ravenous, and then found a truck to take us to Chania. P. Smith-Dorrien wrote warmly of Philip Scott and with much praise for Captain Michaelis Mistho, who later played a role in the secret transport of caïques in the Middle East, and I met him later in the war. Also we had the finest impressions of Corporal Costas Varthis and the wireless operators, always willing and with good humour in difficult moments. Lastly we felt grateful to all the Greeks who took care of us and helped us warm-heartedly in difficult times. After sixteen days the war came to Crete in one part or another. A few months later Philip Scott was killed in battle in a western invasion, and Smith-Dorrien was killed towards the end of the war by a bomb falling on the King David Hotel in Jerusalem. These notes are based on my own recollections, much helped by the account written by P. Smith-Dorrien on our eventual arrival at Chania in Crete. Following the death of Philip Scott, his father Sir Samuel Scott collected his letters and published them as a small book. One letter describes our flight and it is around this that I have written. About the night we left Leonidion he writes: “We all got into the boat, eleven English, six Greeks and the others that stayed on after the loss of the Ayia Barbara. The Greeks rowed for six hours with hardly a break. They were absolutely wonderful. We covered 15 miles and arrived at a fishing village further south”. He was about 20 years old, I was 26 and Smith-Dorrien between 30 and 40. I love Leonidion and the whole of Tsakonia. This entry was posted in Other Writing and tagged Albania, Crete, Greece, Patrick Leigh Fermor on June 11, 2013 by proverbs6to10. More Miklós Bánffy propaganda to make you go out and buy these fantastic books! They have recently been republished by Everyman’s Library. You can buy them here. They were counted.The Transylvania Trilogy. Vol 1. And of course, Elisabeth Jelen Salnikoff, the elder granddaughter of Miklós Banffy will be speaking about her grandfather, his life and work at the exciting Transylvanian Book Festival 5-9 September; see you there! A few years ago a friend sent me three very large paperback novels – a trilogy about Hungary before the first world war – which he said I should read. The Writing on the Wall, as the books are known (better than “the Transylvanian Trilogy”, the inadequate English alternative), did not look promising. Their covers were relatively austere and their author was a dead Hungarian aristocrat of whom I then knew nothing. They sat ignored until, by chance, I took the first of them to Spain one summer and, having nothing else to read, opened it. Since then their author, Miklós Bánffy, has never been far from my mind. The elegiac wisdom of his writing makes him one of those people whose life you wish could have ended in something other than calamity. His three great novels, which are really one and should be read as such, are significant and addictive works. Word of their excellence is spread largely by private recommendation. I know no one who, having begun them, has not charged through to the end. The three books – They Were Counted, They Were Found Wanting and They Were Divided – are at one level a sort of Austro-Hungarian Trollope, with sleigh rides in place of fox hunts and the Budapest parliament instead of the House of Commons. So far, so dull, you might think – except that Bánffy was a great storyteller (his factual account, in his book The Phoenix Land, of the 1916 coronation of the last Hungarian monarch is spellbinding), and wrote as a member of a class and the citizen of a country that had both been brought to ruin. Bánffy published his books in Hungarian between 1934 and 1940. By then, the pre-first world war aristocratic tradition he describes was dead; or at least the political part of it, for the trappings lingered on – not least at Bánffy’s own great family castle of Bonchida, by then in Romania and destined to be partly destroyed by the Germans in 1944. Bánffy died in 1950, his papers burned, his books out of print. One of the connected delights of this trilogy is that his daughter was one of the joint translators, and Bonchida (thinly disguised as Denestornya in the novels) is being brought back from a roofless ruin. That will not return to us the Hungary of which it was once a part, and only a third of which remained in Hungarian hands after the 1920 Treaty of Trianon (an ill-deserved robbery). 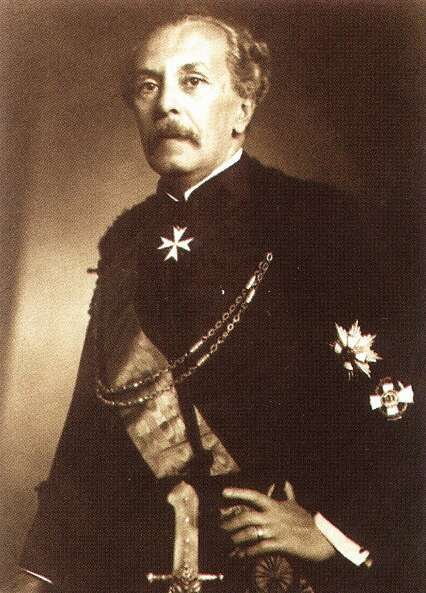 As Bánffy describes, some of this disaster was his fellow citizens’ fault – the product of their incestuous politics, their semi-subservience to the emperor in Vienna, and above all the closed nature of Hungarian society, which did not know how to deal with the continent beyond its borders. That remains true today: there is something mysterious about Hungary, and not only because of its isolated language. 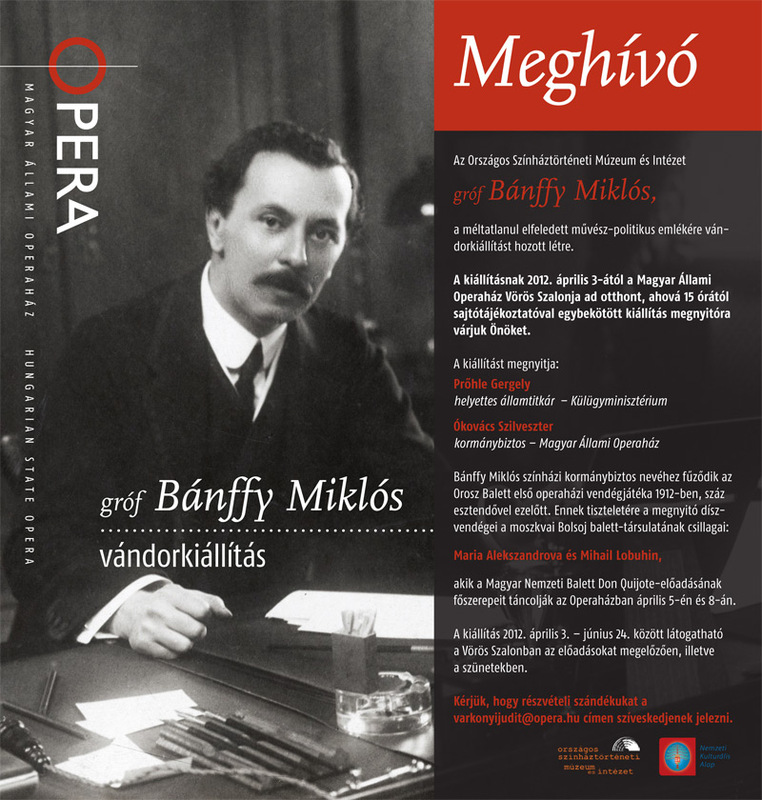 Read more about Miklós Bánffy on the blog by clicking this link. This entry was posted in Other Writing and tagged Hungary, Miklos Banffy, Transylvania, Transylvanian Trilogy on May 29, 2013 by proverbs6to10. 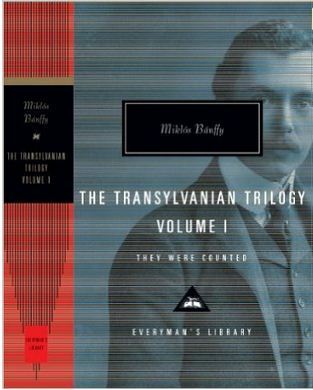 Many of the longer term readers will know that I am a true fan of the work of the great Hungarian-Transylvanian writer and statesman Miklós Bánffy. His Transylvanian trilogy is a masterpiece, and the autobiography, The Phoenix Land, re-published last year offers an insight to the character and soul of this intelligent, hardworking, and resourceful man. Read more about Miklós Bánffy in the articles on the blog which you can find at this link. I was recently contacted by blog reader Scott Walters from San Francisco who informed me about a new version coming out in 2013. As you seem to be the go-to resource for all things Patrick Leigh Fermor, I thought you might be interested to know – assuming you haven’t heard already – that the English translation of Miklós Bánffy’s Transylvania trilogy (They Were Counted, They Were Found Wanting and They Were Divided), for which Paddy wrote an introduction and which you’ve blogged about on occasion – is going to be reissued this summer in hardcover by Everyman’s Library. Publication date is in July. I’m thrilled about this – I’m a great fan of the trilogy and have long bemoaned the price of the existing paperback editions, which despite being reissued in 2010 still seem difficult to obtain at a reasonable price (though a Kindle edition is now available). That Everyman’s Library has opted for the work suggests that it’s finally attained the recognition it deserves. I posted an announcement on my blog, but should you put one on your Fermor blog I expect word will get out to more people who may be interested. All best, and a very happy new year. I am grateful to Scott for getting in touch. Not so sure about the price issue as it affects UK readers. You can buy good copies of his work on eBay for around £8-£10. The Everyman versions appear to be coming out in July 2013 with a website price tag of $26 for a hardback edition. All I can say is it is great that more people will read Bánffy, and that prices of books vary enormously depending upon where you are. Moral of the story is look around for bargains and read some Bánffy now! This entry was posted in Other Writing, Romania and tagged Hungary, Miklos Banffy, Romania, Transylvania on January 30, 2013 by proverbs6to10.